Develop the skills to improve the security of an organisations database. By understanding how to audit their organisation's Information Security Management System (ISMS), professionals can find weaknesses in the system and correct them, providing a higher level of security. Information security auditing courses enable lead auditors and auditing professionals to maximise the security of their organisation's data. Through ISMS audits and compliance with the ISO 27001 standard, organisations can maintain the security of the exchanged and stored data. Courses for internal and lead auditors of information systems are currently a popular choice among professionals who wish to specialise in quality assurance. An information security audit is a systematic and measurable assessment of how an organisation's security policy is employed at a specific site. Information security auditors can be either internal or external, however their aim is to provide effective security policies and ensure that an organisation's data is safe. More and more businesses are implementing information security policies, which are a means of standardising security practices and benchmarking a firm's information security measures against a proven and documented framework. ISO 27001 is the international framework that provides organisations with a management system for information security auditing and outlines explicit management controls. Implementing ISO 27001 allows firms to turn disorganized and disjointed security management into a systematic, goal orientated and cost-effective way to secure data and IT systems. Courses in information security auditing and ISO 27001 prepare professionals to audit to this high standard and improve the security of their organisation's data. 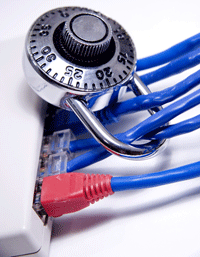 Unit 1 - Which offers a preliminary review of the information security management system. Specifically, this stage serves to familiarise participants with the organisation and vice versa. Unit 2 - Offers a more detailed and formal compliance information for auditing. The auditors will learn how to to confirm that the management system has been properly designed and implemented. Passing this stage results in the information security management system being certified compliant with ISO/IEC 27001. Unit 3 - Encompasses the conduction of follow-up audits to confirm that the organization remains in compliance with the standard and ensures that the management system continues to operate as intended. If you want to expand your practice with other management systems auditing, you can choose a training course in quality management, best represented by the ISO 9001 standard, environmental management, ISO 14001, or move towards more specific applications of these: from automotive auditing, medical devices and laboratories auditing through to Health & Safety auditing practice.